When I got married, I didn’t even consider the option of having a bespoke dress made, but I definitely wish I had! 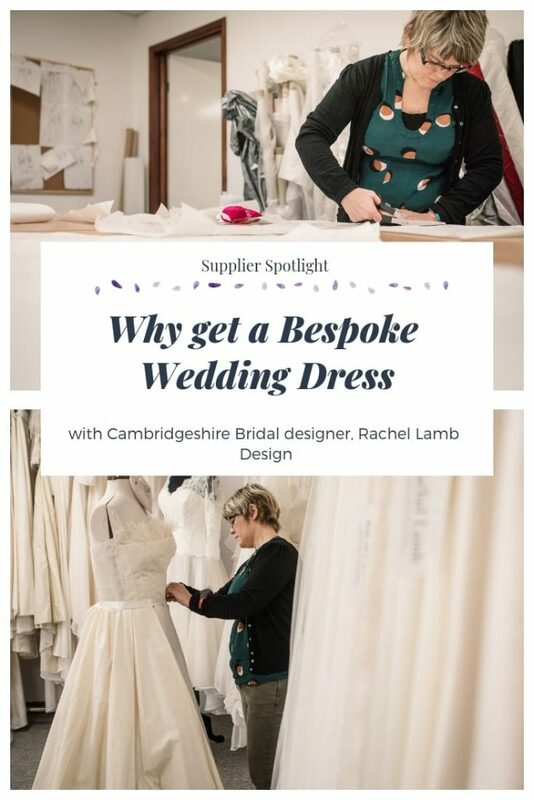 I spoke to the wonderful Rachel of Rachel Lamb Design – a bridal designer based in Cambridgeshire. 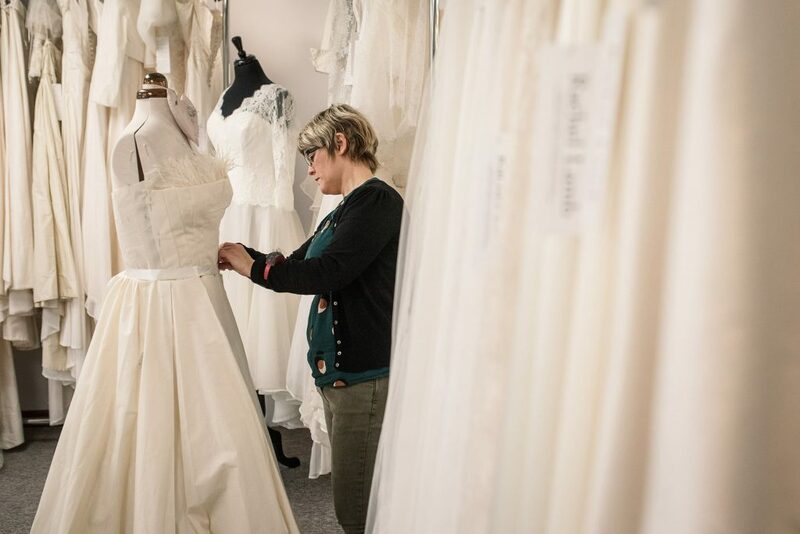 Rachel’s work is beautiful, and has been the deserving recipient of Best Dressmaker/Designer at the Four Counties Wedding Awards for three years in a row, for her stunning bespoke bridal gowns. 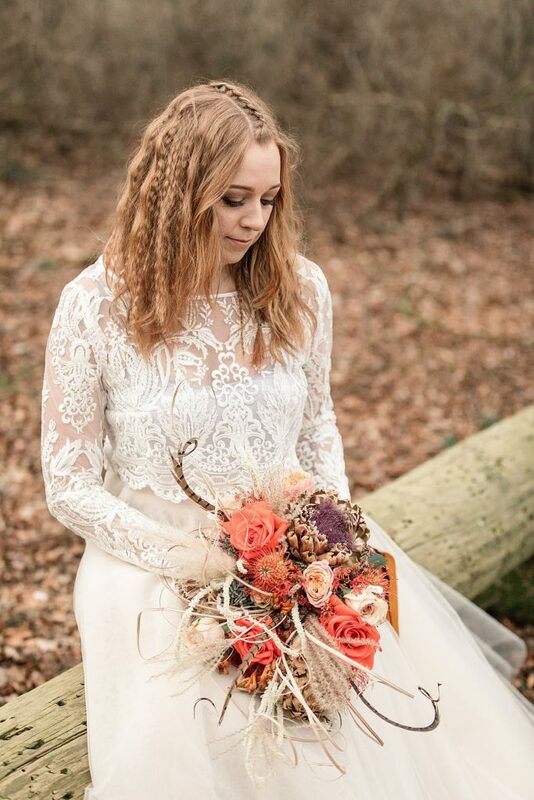 I’ve worked with the lovely Rachel on several occasions for some amazing styled shoots, a tribal themed shoot and a luxurious winter shoot, and both times she provided exquisite gowns! Take a look below to see some images of her gorgeous work. 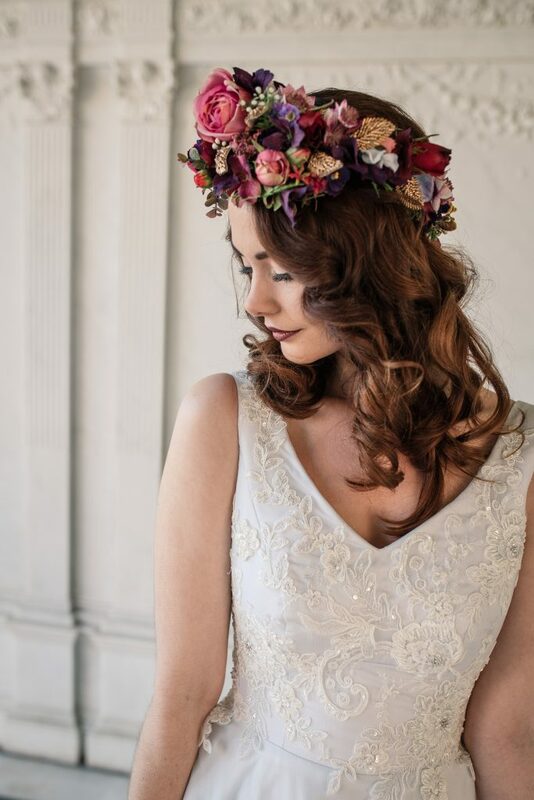 I am an award winning bridal wear designer and maker. I specialise in bespoke bridal gowns and outfits for both the bride, and mother of the bride/groom. Brides can have anything they like designed and made to fit them perfectly. Everything is made in-house by myself and my assistant, in my studio in the Cambridgeshire countryside. I also design my own range of made to measure bridal wear, which is available to order from my studio. 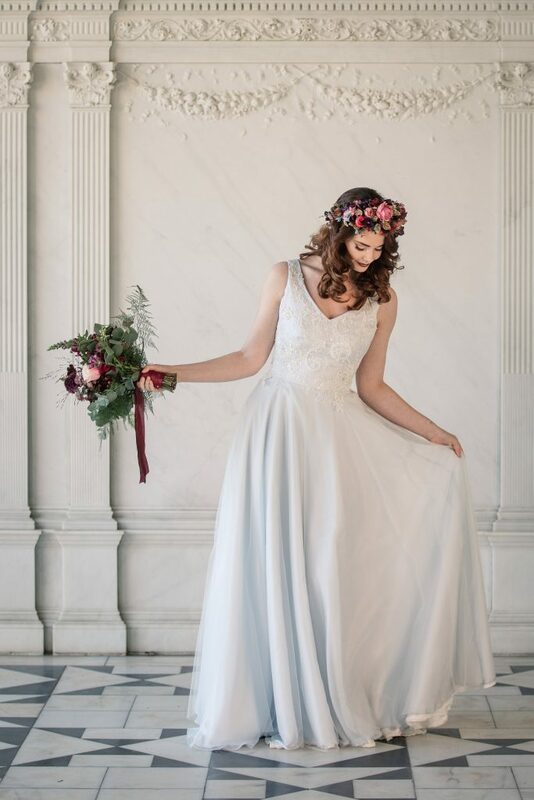 I am very flexible when it comes to my range of dresses too – they can be altered and changed to suit the taste of the bride; so laces can be swapped for others, colours changed, beading added or changed in some way and design features such as skirt style or neckline shapes changed for suit the bride. Why do you think that people should consider having a bespoke dress, rather than buying one off the rail? One of the benefits of having a bespoke dress made, is that you can have something totally unique to you, that no one else has. Your dress can reflect your style & individuality, and will fit perfectly. Anything can go into a bespoke item – pieces of other dresses, the fabric from your mum’s dress for example. I tell my clients to bring along anything that inspires them or that they love. I always say it doesn’t have to be full garments or all clothes (although they can be useful). Everything you like (or dislike) helps give an impression of you and your quirks and foibles. In fact, bringing things that aren’t clothes or dresses can make the journey towards an end garment very interesting! All this helps give me an idea of who you are and what you like and want to look like. One of my clients once bought an ornament along with a postcard image, & others have brought jewellery, a family heirloom or some art. helping give me ideas about what they like & who they are as people. 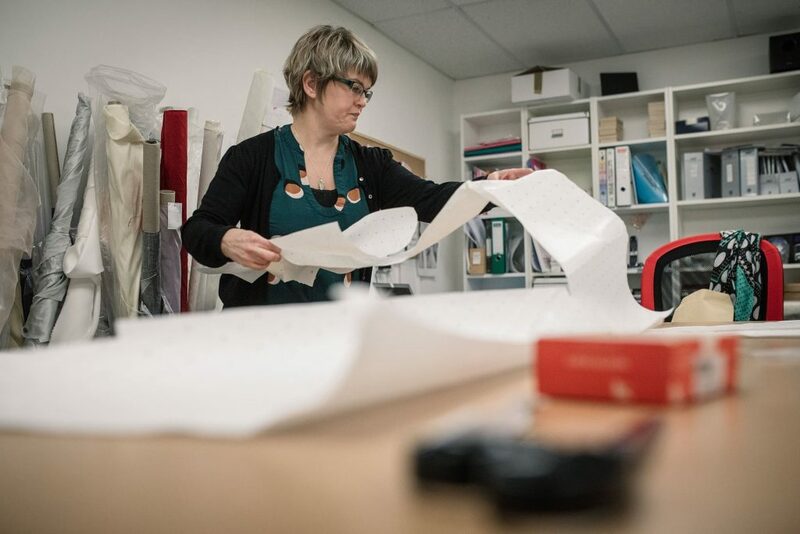 What is the lead time for a bespoke gown? How long do you need to make one? It really depends on the design, the time of year, how available the client is to attend fittings & what is already booked into the schedule. Eighteen months – 1year is ideal, 6-9 months is okay. Sometimes I can turn dresses around in even less time, if it’s a winter wedding and my schedule is less busy, but we would just have to check my availability. Years back I once made a dress for a bride in 4 weeks during winter, but it was very rushed & she attended fittings more than once a week. I haven’t done that since! How long have you been in business and how did you get to where you are now? 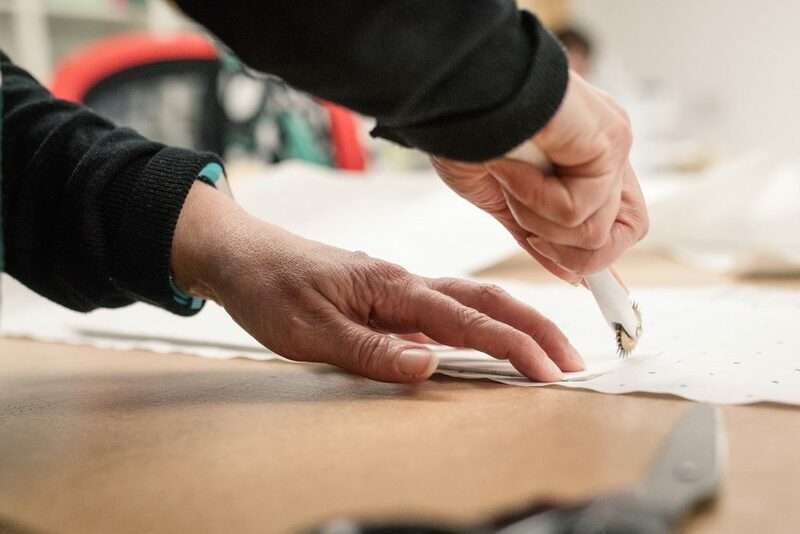 I am trained in fashion and textiles and I always wanted a creative business where I could be involved in the whole process of creating something from start to finish, and working alongside my client. It occurred to me one day that weddings might be an area I could use all my training in and be in control of my life as well! It sounds mad, but I was into Hitchcock films at the time and in the film Vertigo, the character Midge is a bra designer and sits at her drawing board sketching bras in a fabulously stylish studio flat, and I thought – I want my business to look like that! Then my friends started to get married and I was asked to make their wedding dresses and it grew from there. 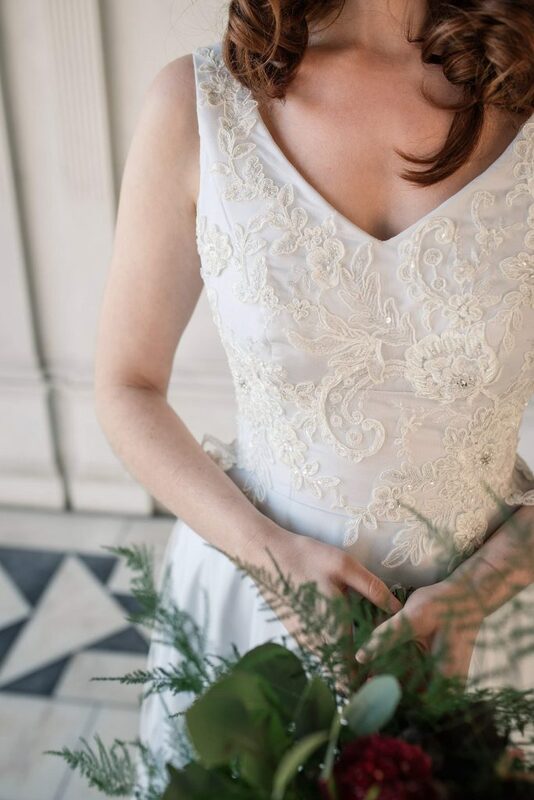 It’s not necessarily weddings per se that appeal to me, more it’s the craft of what I do – I love creating pretty dresses! 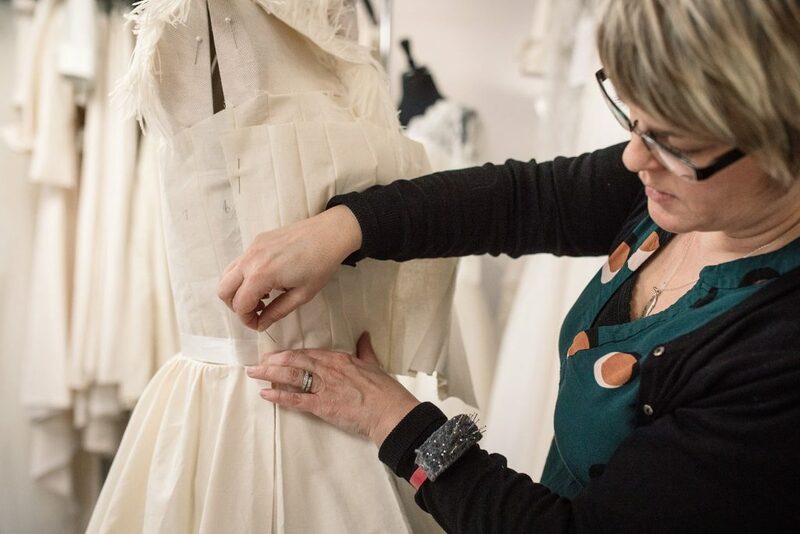 Making bespoke wedding dresses is really one of the few areas of fashion that is not quick fix, and involves all the skills I’ve learned, and am still learning and practising nearly 20 years later. I’m now in my 19th year of officially trading! What’s your biggest business highlight? It sounds a bit low key & humble, but my biggest hi-light has been winning the 4CWA 3 times, and the fact that I’m still trading! I’m always so grateful and touched that people choose me and give me money to make something so special for them. After that it’s receiving feedback from delighted brides and seeing their wedding pictures. I have that fairly typical creative trait of feeling like I’m not good enough and that my work can always be better, which I think is a good and motivating thing if it doesn’t get out of hand, so to be recognised for the work I do by my clients means more than I can say. What would be your ideal dress to design? My ideal project would be one where there were no restrictions in terms of time or budget! It would be a fairly large, yet stylishly modern dress featuring beautiful fabrics and a lot of hand made embellishments, that took months to make! My client would give me free rein, and would be enthusiastic and confident throughout the process and in the outcome! The dress would then be featured in various major publications to rapturous applause! What top tips would you give a couple organising their big day? I am married to Dan and we have a 12 year old daughter. I can tell you straight away that my favourite biscuit is Viscount mint – you hardly ever see them about these days – the individually green foil wrapped ones! Also mint clubs. Infact I love minty chocolate generally! A random fact about me is that I have a weird fascination/phobia of empty and/or derelict swimming pools. I am a West Country girl and I grew up in Bath before the spa was redeveloped and I think this fascination comes from living in a city full of old swimming baths. I love reading and always have a book on the go. And I especially love audiobooks, which I listen to every day at work. I studied for 2 years to become a counsellor and psychology would’ve been the career path I would’ve gone down if weddings hadn’t taken over, I find people fascinating. When I’m not working, I’m trying not to think about work! I love socialising with friends or getting out in the sunshine. I find it really hard to stay indoors if the sun is out, and I’m lucky that I’m not confined to an office everyday. If it’s raining, I’ll probably be cooking soup or something sensible like that! Or practicing doing as little as possible, which I’m getting better at these days, but used to find very difficult indeed. What are you most looking forward to in the year ahead? 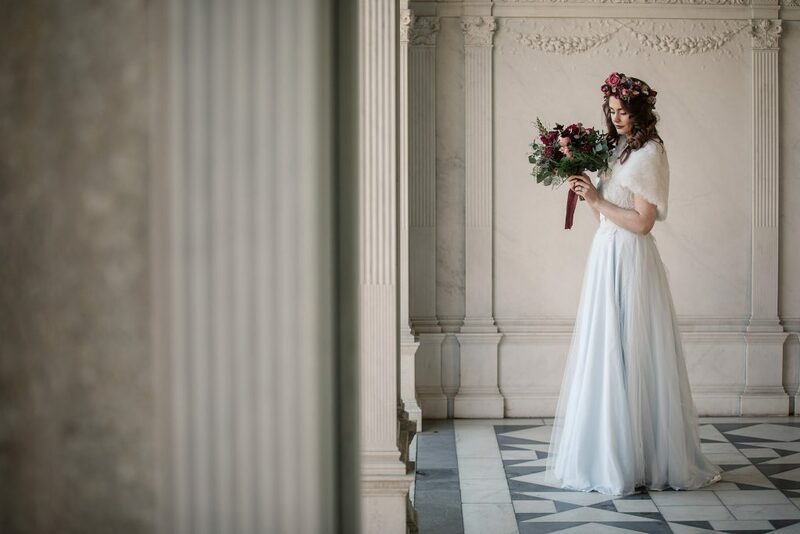 I’m looking forward to developing my bridal wear Collection a bit more – expanding on my range of dresses and designing a few interesting pieces that are perhaps not so commercially minded. I’m also looking forward to working with new brides. I’m always sad to see each one go, but I enjoy getting to know all my new brides too and having fun at their fittings! A huge thank you to the lovely Rachel for taking the time to answer all my questions, and for giving us an insight into her business and herself! 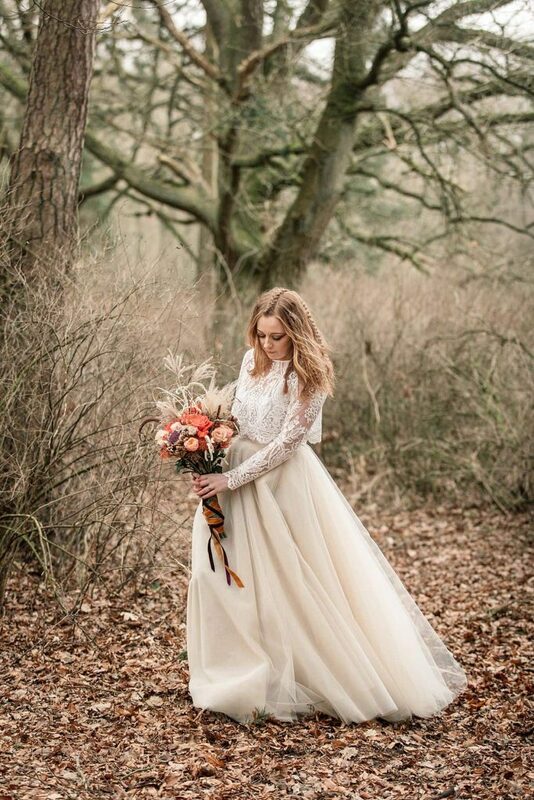 If you’re considering a bespoke gown for your wedding day, I strongly recommend you get in touch and pay her a visit!